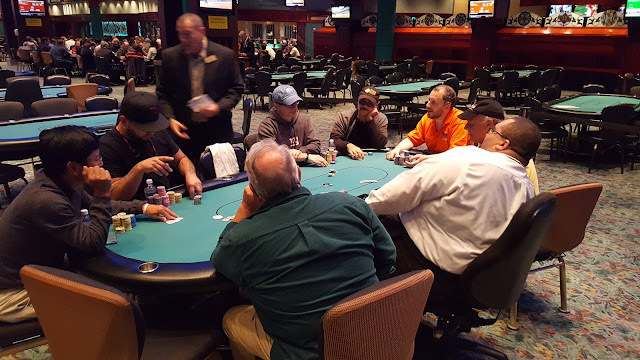 There were a total of 99 entries in today's Event #8, generating a prizepool of $33,610. The top 12 spots will be paid. The remaining 40 players in the Seniors event are now on dinner break. 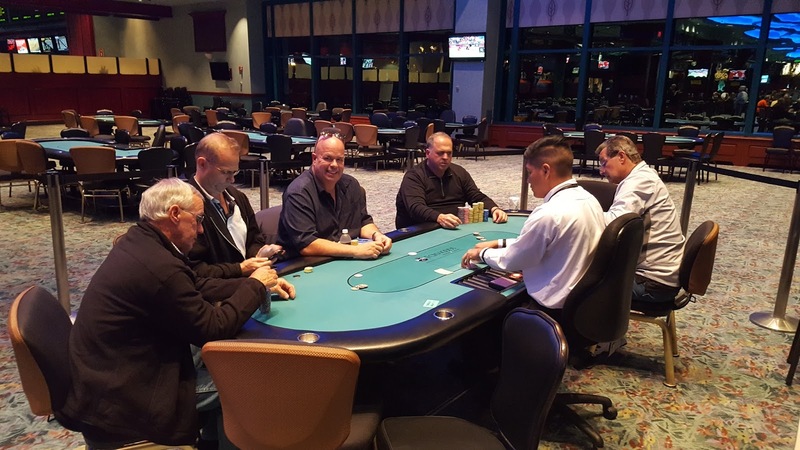 They will return to play Level 13 (800/1,600 blinds with a 200 ante). They will play a total of 20 levels before bagging and tagging for the night, and then anyone advancing will return tomorrow (Sat) at noon to play down to a winner. Foxwoods regular Luis Vazquez is still in and sitting on one of the largest chip stacks in the room, 165,000. Raj Patel also has a healthy 75,000. Laurie Hilton shoves all in for 21.000 from under the gun and is called by a player in later position holding A♠9♠. Hilton shows Q♦J♠. The flop comes Q♥9♣3♠ giving Hilton the lead with a pair of queens. The 3♥ turn and 6♥ river are safe for Hilton and she doubles up within 30 minutes of heading to dinner break. The reg period for the Seniors event is coming to a close. We will bring you the Prizepool information as soon as it's available. We are streaming a live feature table of today's $400 No-Limit Hold'em Seniors event, and it's ANYTHING but dull. Featuring Foxwoods regular Linda Swears in the one seat! Hilarious and fun conversations in just the first level alone have included; Catholic guilt and how it plays a part in poker, bad beats and how they can actually be good for you, country (and planet!) of origin, etc. 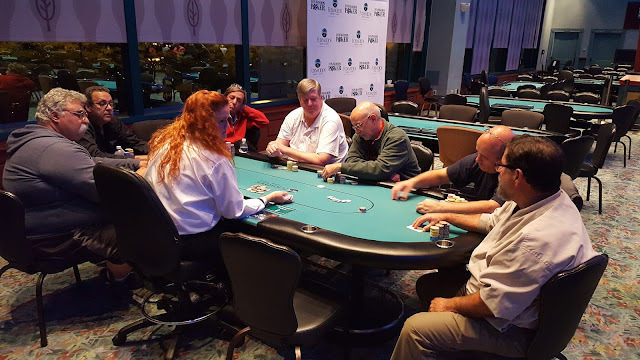 The $400 Seniors No-Limit Hold'em tournament is now underway. Anyone wishing to enter/reenter this event has until the start of Level 9 to do so. This event has an awesome $25,000 guarantee, and features 30 minute levels (1-12), and all Levels 13+ are 40 minutes in length. This is a two day event, and Day 2 will resume tomorrow (Saturday) at noon and play down to a winner.